You're either a fishing enthusiast, a video game junkie, or both. And you want to check out some games to play. Or you could just be looking to buy a new fishing game for yourself, or perhaps as a gift for somebody else. Either way, I believe that we can help you out in that department. Test drive Fishing Video Games before you buy. Let's take a quick look at the different types of games that are available. 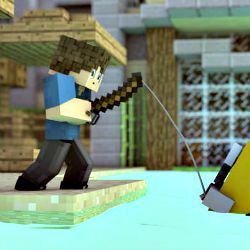 There's a variety of gaming type systems, platforms that cater to all audiences, and a countless number of different games out there to get your fix of fishing injected into your system. Here's a brief summary of them, along with a little information about some additional accessories for getting the most of your experience. There are interactive games specifically designed for toddlers and kids. For instance, a child could be holding a popsicle stick with a piece of string tied to it, and possibly something like a magnet at the other end. The goal could be to use the magnet to attract and catch magnetized letters of the alphabet from a tub. It's almost a given that you can find games to physically participate in at special events, carnivals, festivals, county fairs, state fairs, amusement parks. If you're good or just plain lucky enough, these contests allow you to win prizes such as stuffed animals, pictures, hats and t-shirts. These are perfect for those lazy days hanging out around the house with the family, or if you're having a couple friends over staying the night. These are perfect for playing on-the-go, especially traveling during long car rides. I know some people that will even take these into the restroom with them. 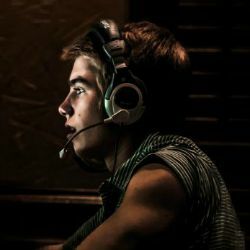 Many people enjoy passing their time by playing online. There are a ton of free ones to choose from, and there are a ton of websites that provide games. You can also find sites that allow you to download games for free, or for a small fee, so that you can play offline as well. Of course you can buy new and used games for your gaming systems. Some of the most common and popular modern day consoles include Xbox, Playstation, and the Nintendo Wii. 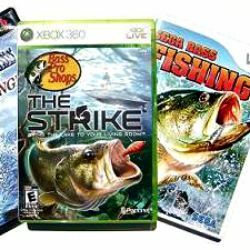 Gaming systems such as the Wii and the Xbox Kinect make it possible to use special controllers that are designed to look and feel just like a fishing rod and reel. This type of interaction is probably as close as you're going to get from actually fishing. Arcade games and pinball machines are one of my favorite types of devices to play on. It would be cool to have one of these set up in the game room or the man cave. Cant wait to start playing? Or are you just looking for more knowledge to soak in before you plug and play?